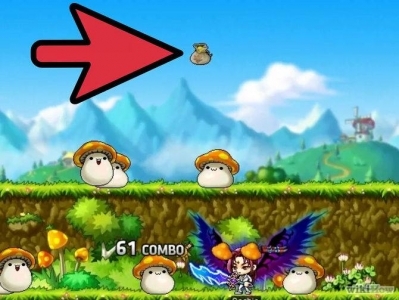 New Maplestory: I do like the New Maplestory because it has a lot of good new features to it. For example, it is much easier to level up these days, where in old maple, it would take a week to get to lvl 30. Now you can get to lvl 30 in just an hour. New maple also has a feature that shows you where to train, and you can instantly go there by clicking the picture it shows you in the top of your screen. New maple changed most of the towns in Vic from what I've seen thus far. Henesys and Kerning are much different from their previous versions. The damage ranges also seem to be much higher! There are lots of new classes. Getting to PQs and Bosses is easier now. More items seem to be dropping, as well as rare items. Not all of these things are good however. 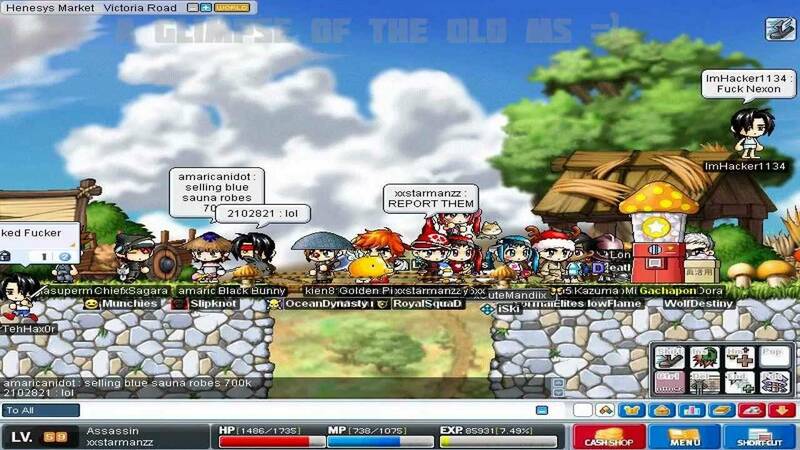 Old Maplestory: Old maple was its prime I believe, not in all aspects, it really depends on the player. I used to play for the community. The community in the old maple was simply outstanding, now I'm not saying New maple couldn't achieve this, I'm just saying it hasn't yet. 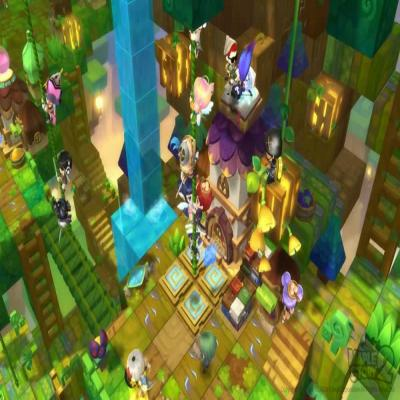 The old maple had Scania almost completely full on each channel, and there was a point where it would be useless to make a character there bc it was so over populated, even broa and bera were well populated, bera more so, but Broa too, and Windia. The community was what made it for me back then. Leveling used to be very difficult, and damage was pretty low for all classes, except for well funded...especially thieves. 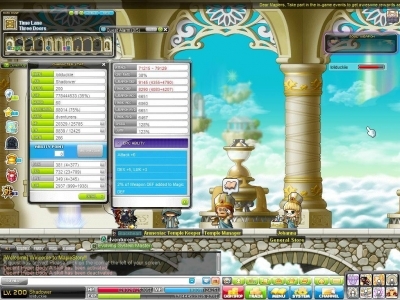 The old maplestory just seemed I don't know...classic in a sense, that's probably why I played so long. The old maple's towns were much better, Henesys and Kerning, anyway. Because the layout was bigger, and more interesting, in the fact that it was actually a nice place to just relax and talk to friends, I'm not saying that's not there today, but I am saying its definitely not even close to what it used to be. The free markets used to be LOADED with players, now you only see a small number of people outside the portals attempting to buy and sell items. 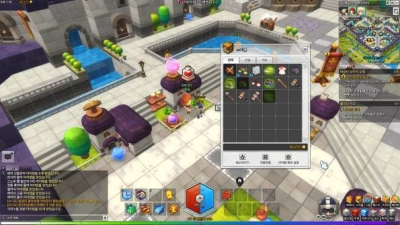 In the old maple, it seems it was easier to make money, the max Maplestory2 Mesos was only like 2b or 2.5b, which I think was fair, but still honestly low. But now, you see things in the FM for ridiculous prices, for example yesterday I saw a RING for 10b, A RING. Wow. 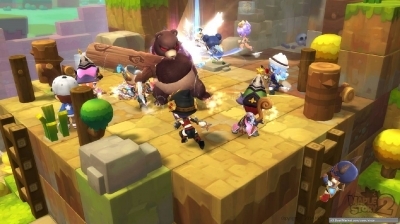 Honestly I just liked playing the old maplestory better. BOTH?! : I love both maples, but we just have to accept the new one for what it is, the old times are over, and this is the present. I know the population will fluctuate as it did previously, new and old players come, and new and old players go, that's how it works, but I feel as though if there was good tv advertising, there would be many more users. But it has to get peoples attention, with the fact that its an MMO RPG, and that its good for chatting/making friends, and also competing with them for levels and items. Its honestly been a place for me to learn a few real life lessons. But when you compare the two they both have pros and cons, and I understand that it is a constant work in progress, because there will most likely never be a "finsished" version of the game. Seeing how it requires tons of work and updates, if Nexon stopped working with it, it would be like Call of duty Modern Warefare 2 on the consoles, hackers everywhere, and boring. For that reason, I am still impressed that Nexon is willing to work so hard. Well before I keep this little rant going, I'm just gonna stop.